In 1992, Congress passed the Clean Vessel Act to help reduce pollution from vessel sewage discharges into U.S. waters. The grant program established by the Act funds the construction, renovation, operation and maintenance of pumpout and dump stations for use by recreational boaters. As part of its commitment to provide clean, safe and enjoyable recreational boating in California, the Division of Boating and Waterways (DBW) serves as the grant coordinator for the state. The Clean Vessel Program also provides boater education programs to promote public awareness about boat sewage and its proper disposal. Grants available to any organization for educating boaters about proper sewage disposal, the use of pumpout facilities and for pumpout monitoring efforts. This grant program funds the development, construction, deployment, and operation and maintenance of floating restrooms. 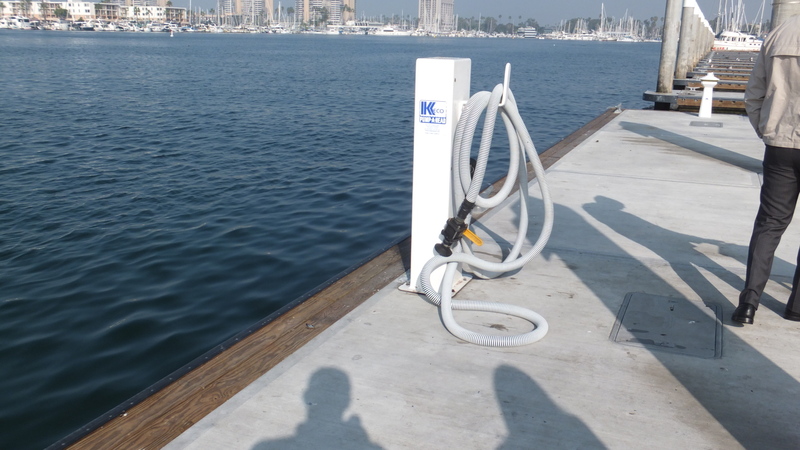 This grant program funds the placement of vessel pumpout stations. This grant program funds the eligible costs of pumpout parts and labor to maintain an existing pumpout.